Joseph Meyer, violin, is an active soloist, chamber musician, and orchestral leader who has been garnering critical acclaim throughout the country. He has been described by the San Francisco Classical Voice as " a standout player, both technically brilliant and musically innovative". The Miami Herald has called his solo playing "exquisite", while the New Orleans Times Picayune describes him as a "brilliant concertmaster and a superb violinist". 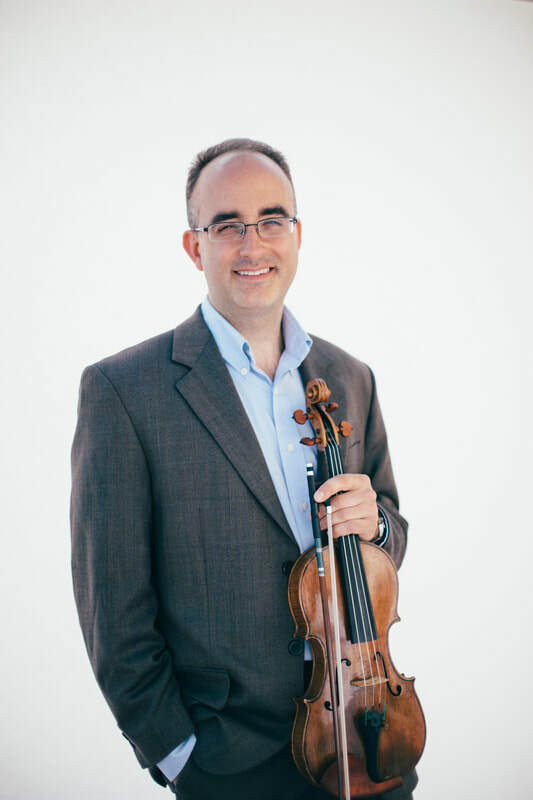 Currently Mr. Meyer holds positions as associate concertmaster of the Charlotte Symphony and the Colorado Music Festival, as well as guest concertmaster of the Louisiana Philharmonic Orchestra. He is on the faculty of Davidson College in North Carolina. Former leadership positions in other orchestras include concertmaster of the Louisiana Philharmonic, and a member of the Minnesota Contemporary Ensemble. As a member of the Minnesota Contemporary Ensemble, he performed across the United States in critically acclaimed concerts that emphasized new music. He has also served as section violinist in the San Francisco Symphony, San Francisco Ballet and Grant Park Orchestra. He has appeared as soloist with orchestras including the Milwaukee Symphony, Charlotte Symphony, New World Symphony, Louisiana Philharmonic Orchestra and the Colorado Music Festival Orchestra, and has performed as soloist and chamber musician in Europe and the United States. He has served as guest concertmaster of the Knoxville and Jacksonville symphonies. .
As a chamber musician, Mr. Meyer has performed and recorded chamber music for contemporary composers such as John Morrison, Steven Dankner, and William Stevens, as well as for the Minnesota Contemporary Ensemble on the the Innova label. As part of a joint Carnegie Hall/State Department initiative to promote cultural exchange, he has performed chamber music and has given masterclasses throughout Central Asia. He has collaborated with other notable musicians such as Vadim Gluzman, Benedetto Lupo, Paul Galbraith, Donald Weilerstein, and Frederica von Stade in chamber music performances. Mr. Meyer's awards include first place in the Harold Levin solo competition, the Jules Reiner prize as a fellow at the Tanglewood festival, and first prizes in the Fischoff and Aberdeen chamber music competitions. He graduated from the San Francisco Conservatory of Music, studying with Camilla Wicks and Mark Sokol. Mr. Meyer performs on a 1740 G.B. Celoniati violin.